Robert Harneis-TDO- (FRANCE)- At the Organization of American States (OAS) the United States needed 24 votes to achieve the expulsion of Venezuela. Despite brazen threats and bullying by US officials, they did not get them. Nineteen member states voted in favor, four against and eleven abstained when the US tried to have Venezuela sanctioned. Notably the desperately poor Republic of Haiti abstained. The US did achieve a resolution calling on states to take unspecified measures against Venezuela. It is thought that one aim is to get right wing Argentina and Chile to break off diplomatic relations with them. It is more or less openly accepted that the US is supporting the idea of a coup against the struggling President Maduro. 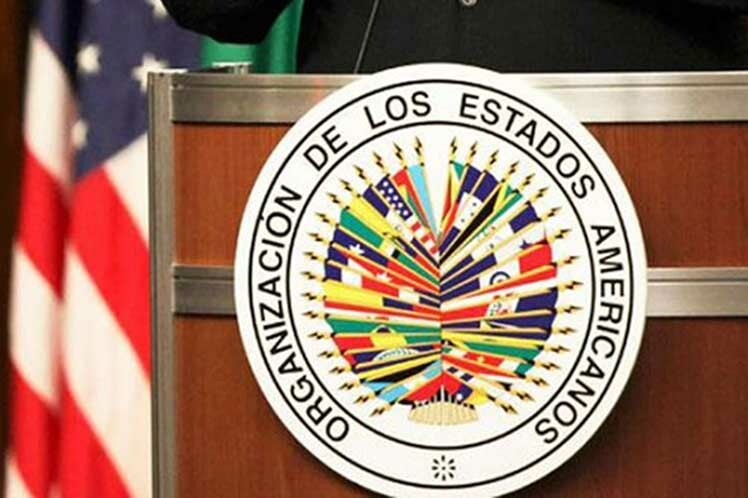 The United States has always badgered and bullied OAS member states to get what it wants. Under President Trump it has become more blatant. There are threats to cut off aid, problems created over visas and difficulties can be made for families of ministers who are in the United States to study or for other legitimate reasons. And there is no doubt straight forward bribery. It remains to be seen how much longer OAS members will put up with this contemptuous treatment from a super power that is in no great shape financially itself. Elections are due in Mexico, a sleeping giant with a population of 137 million, and it is not unlikely that a President who is prepared to stand up to the United States will be elected. If this happens it will to a great extent be due to Trumps cavalier treatment of the border and trade relations.